איז דעס אין א אידישע געגנט? מי הוא זה האט געשריבן: איז דעס אין א אידישע געגנט? In the wake of more than two dozen arrests in Lakewood this summer for alleged public assistance fraud, the state comptroller's office was expected to announce a program this morning that would give Ocean County residents who either purposely or inadvertently received unwarranted Medicaid benefits a 90-day window to avoid criminal prosecution -- provided they make full restitution and pay a civil penalty. "This is not an amnesty program. This is not a 'Get of out jail free' card," Comptroller Philip Degnan told The Star-Ledger Wednesday night. "This is a chance for people to come into compliance without fear of prosecution." Degnan said he hoped the new program would save his office the investigative muscle and prosecution costs of pursuing more criminal charges. "Our investigations have led us to believe there is a population in Ocean County that will benefit from the program," he said. "If they decide not to, we will continue our mission" of investigating Medicaid fraud. He described it as a pilot program that, if successful, might be rolled out statewide. It is beginning in Ocean County because of the recent arrests of 26 Lakewood residents on fraud charges, an alleged theft of public assistance that totaled nearly $2 million. Degnan said it "would not be appropriate to comment on an ongoing investigation" if more arrests were coming. Those already arrested are not eligible for the program. Anyone else who received undeserved benefits, however, could avoid prosecution through the Ocean County Recipient Voluntary Disclosure Program, Degnan said, provided they make full restitution, pay a fine and withdraw from Medicaid programs for one year. The fines range from $1,000 to $10,000 depending on the amount of fraudulent Medicaid benefits received. The comptroller's office includes the state's Medicaid Fraud Division, the watchdog agency that makes sure public health dollars go to only those in need. There are 1.8 million Medicaid recipients in New Jersey. The Lakewood arrests were a result of a longtime, thorough investigation of Medicaid claims and other public assistance fraud. Some of those arrested were charged taking benefits from as far back as 2012. Some had gone off the program as long as two years ago. After the arrests in June, there were rumors that people flooded the Ocean County Medicaid offices to surrender their benefits cards. At a meeting called by community leaders to clarify entitlement eligibility at a Lakewood private school, 1,000 people showed up. "We certainly heard those things and it was something we did consider as we were putting together the program," Degnan said. Degnan said he couldn't put a "ballpark" figure on how many Ocean County Medicaid recipients might have crossed the line into benefits fraud. "Our goal is to bring as many people into compliance as we can," he said. "We don't have a preconceived idea of how it's going to go. If it's successful, it saves us the resources of making individual case" for prosecution. Because of the high number of people in Lakewood, including yeshiva students, who have large families, more than half of the township's 43,000 children live in homes drawing some kind of public assistance. Two years ago, members of the Vaad, the leaders of the Orthodox community in Lakewood, invited Ocean County Prosecutor Joseph D. Coronato to hold a seminar about welfare and Medicaid compliance. "We invited him in," said Rabbi Aaron Kotler in a previous interview. "If there was a problem, we wanted to figure out how to fix it." Kotler is president of the 6,500-student Beth Medrash Govoha, the world's largest yeshiva outside of Israel. Last night, the Vaad issued a statement for this report about the comptroller's program. "The Vaad supports any and all programs that can help improve compliance rates among the general public," the statement said. The Vaad said it also welcomes any program that brings clarity to the benefits process. "We hear that some staffers in some agencies don't know the rules sufficiently, and that different staffers or different processing centers may give varying answers to similar questions presented by families seeking assistance," the statement said. "This is particularly true as health care eligibility rules have changed significantly, and the agencies may be understaffed. This can sometimes create confusion as to eligibility." Some of that confusion can be cleared up at the first informational meeting the comptroller's office will hold with the public about the new program. It will be on Tuesday at 6:30 at the Pine Belt Arena at Toms River North High School. Tuesday is also the first day people can apply for the program, which ends on Dec. 12. Degnan said that while voluntary participation can help cheaters avoid county criminal charges on Medicaid fraud, information obtained during the application will be turned over to the state treasury and Social Security to see if applicants owe taxes on unreported income or have taken other unwarranted benefits. "We can't guarantee they won't have trouble with those agencies," he said. Applications and a sample Settlement Agreement, will be posted on the OSC web site, http://www.state.nj.us/comptroller in the coming days. איר שרייבט זיך איין אין דעם פראגראם, זענט מודה אויף פראד, באצאלט א פיין גיבט צוריק טויזענטע דאללער - איר האט פארפעלט עפעס אריינצורעכנען אדער מודה זיין אויף עפעס, קענען זיי אייך אנקלאגן אויף די גאנצע מעשה מיט הודאת בעל דין כמאה עדים. איר זענט מודה עני קריים וואס אינוואלווד א צווייטן (אפילו נאנט משפחה!) 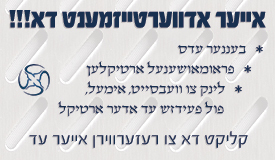 זענט איר בהכרח א גאוורמענט עדות אנטקעגן יענעם! זייט געווארענט. טוט נישט זאכן אן א לאיער. די איי אר עס האט אינטערגענומען ענפארסמענט עקשאן אויף לעיקוואד געגענט קעגן וואס זיי ריפן "טעקס איוועיזשאן און וועלפעיר פראוד"
דריידל האט געשריבן: די איי אר עס האט אינטערגענומען ענפארסמענט עקשאן אויף לעיקוואד געגענט קעגן וואס זיי ריפן "טעקס איוועיזשאן און וועלפעיר פראוד"
וואס האט די איי אר עס מיט וועלפעיר? בדרך אפשר האט געשריבן: וואס האט די איי אר עס מיט וועלפעיר? IRS Criminal Investigation (CI) is comprised of nearly 3,500 employees worldwide, approximately 2,500 of whom are special agents whose investigative jurisdiction includes tax, money laundering and Bank Secrecy Act laws. While other federal agencies also have investigative jurisdiction for money laundering and some bank secrecy act violations, IRS is the only federal agency that can investigate potential criminal violations of the Internal Revenue Code. ס'געווען דער פעדעראלע פראקוראר פון טאמס ריווער, נישט די עף בי איי. זיי האבן אייגענע סטעף און אייגענע דעטעקטיווס, ווי אויך קען די עף בי איי אליינס אנהייבן אן אויספארשונג. 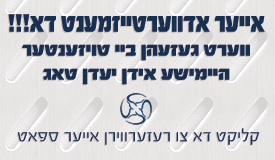 אושן קאנטי פראקוראר איז לכאורה א סטעיט אטורני נישט א פעדעראלע. @משהזוךמיך, א סטעיט אטורני האט אפשר אייגענע דעטעקטיווס. די פעדעראל פראסיקיוטער און עף בי איי זענען ביידע א חלק פון דעפארטמענט אוו יוסטיץ און ארבעטן ביינאזאם אויף א קעיס, יעדער מיט זיין תפקיד. ווי קען איך קויפן א crib אין לעיקוואד ? ברוינע באנאנע האט געשריבן: ווי קען איך קויפן א crib אין לעיקוואד ?